Taipei, April 16 (CNA) Taiwan lodged a "serious protest" against new pamphlets published by Japan that list the disputed Diaoyutai Islands as part of Japan's territory, the Ministry of Foreign Affairs said in a statement late Tuesday. The move by Japan is unhelpful to maintaining regional stability and does not change the fact that the Republic of China (Taiwan) holds sovereignty over the island group in the East China Sea, the ministry said in the statement. "The Diaoyutais are part of the ROC's inherent territory" from the perspectives of history, geography and international law, the ministry said. The uninhabited islands are located in a resource-rich region. The ministry, meanwhile, urged the parties involved to respond to President Ma Ying-jeou's East China Sea peace initiative, which calls for all sides to shelve their differences and seek joint exploration of resources in the region through dialogue. The ministry's statement came after Japan issued a pamphlet that lists the Diaoyutais, known as the Senkakus in Japan, as part of Japan's territory and also made it available on the website of the country's foreign ministry. "There is no doubt that the Senkaku Islands are clearly an inherent part of the territory of Japan, in light of historical facts and based upon international law. Indeed, the Senkaku Islands are under the valid control of Japan," the website pamphlet read. "There exists no issue of territorial sovereignty to be resolved concerning the Senkaku Islands," it read. 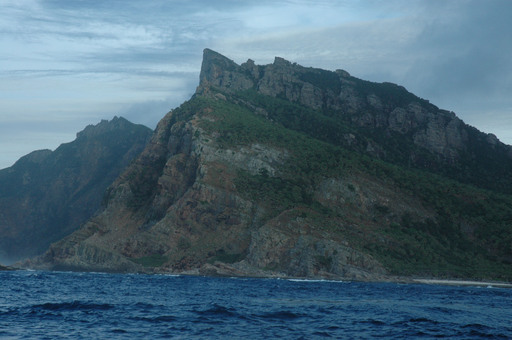 The Diaoyutais, some 100 nautical miles northeast of Taiwan, have been under Japan's administrative control since 1972 but are also claimed by Taiwan and China, which calls them the Diaoyu Islands.